One of your Board’s top responsibilities is to ensure adequate resources. In short, they’re supposed to help with fundraising. Learn to take your Board from zero to Hero with this info-packed 4-week ecourse. It’s your Board’s JOB to help raise money. So why won’t they do it? If it makes you feel better, it’s a common problem. You see, most people who join a nonprofit Board have no idea how donor-based fundraising works. All they know is what they’ve seen before – selling T-shirts, spaghetti dinners, and so on. What they need is some education about what really works in fundraising and how they can support your plan for bringing in the big bucks. Your Board buys in to your annual fundraising plan and every single person points out where they can help. Every Board member makes their own personal donation and it’s one of their top charitable gifts for the year. Each Board member opens up their rolodex and happily connects you with people they know who are likely to give. 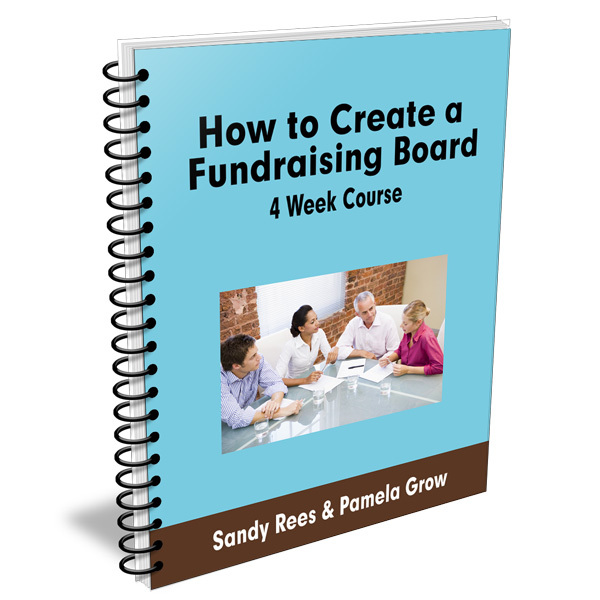 I can show you how to shift your Board from wherever they are into a fundraising Board. Whether your nonprofit is new and you’re building your first Board or you’re experiencing dysfunction (we’ve all been there! 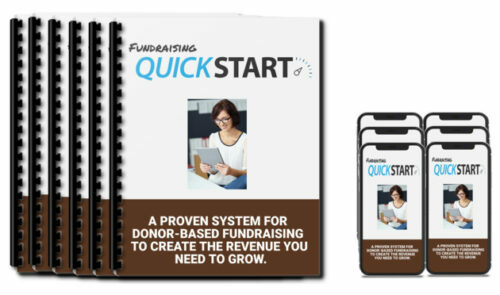 ), you’re sure to come away with hands-on tactics for creating harmony and building your organization’s successful fundraising Board. How to Create a Fundraising Board is a 4-week, self-guided course created to help you understand your Board’s role in the fundraising process and help you move them toward becoming fundraising Superstars. How to help your Board members understand their role in fundraising and stop expecting you to do all the heavy lifting. Tips for teaching your Board how to ditch nickel-and-dime fundraising and start bringing in the big bucks. Each week for 4 weeks (starting when you register), you’ll receive a course module delivered right to your inbox. In the comprehensive class guide, you’ll find lessons and tons of resources – links to podcasts, webinar recordings, videos, and more. Week 1: Board and Staff Roles. The key to a harmonious relationship lies in knowing ‘who does what.’ Too often, we hear of nonprofit staff members who are being micromanaged by the Board. IN this module, you’ll learn effective ways for managing your most difficult Board members. Week 2: Creating your Board’s Culture of Philanthropy. What IS a culture of philanthropy and how will you know when you’re reached Nirvana? 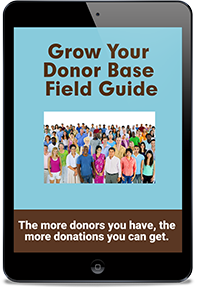 In this module you’ll learn all about empowering your Board, staff, and volunteers to create a true culture of philanthropy with enjoyable exercises and tips for strengthening your donor love processes. Week 3: Storytelling for Board Members. Storytelling is a critical and often overlooked component in successful fundraising. But forget the canned ‘elevator speech.’ Today’s fundraising is all about authenticity. In this module, you’ll learn how to guide your Board members in sharing their unique stories. Week 4: The Joy of Fundraising (yes, really!). Imagine Board members who are not only open to fundraising, but downright enthusiastic! Sound impossible? In this module, you’ll learn how to light a fire under your Board. You’ll be thrilled at the difference it makes having a team of Ambassadors to take your fundraising over goal! 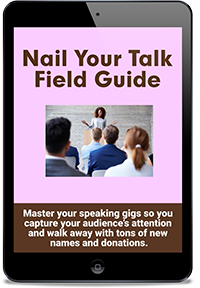 This ecourse is perfect for Founders, Executive Directors, Board Chairs, Board members, and volunteers who want to change the culture of their Board into one of asking, thanking, and stewarding. 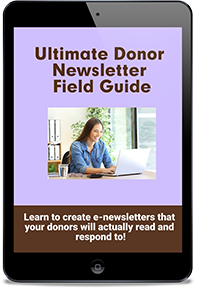 Any size organization that struggles with Board participating in fundraising will benefit from this course. Because it’s a self-guided ecourse, you can learn when and where it’s convenient for you. Nothing to fit into your already busy schedule. No deadlines to meet. Just read the materials when it works for you and get started when you’re ready.